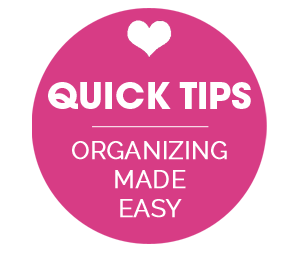 IHeart Organizing: Bragging Rights - Bling Bling! 9 Bragging Rights - Bling Bling! So this blog post is 100% dedicated to my other half, my one and only, Bryan. Anyone who knows Bryan and I, knows there is something there that many don't have. He is the jelly to my peanut butter, the cream to my pie, and the Tom to my Katie? You get the drift. We are stronger than superglue! That's why I can create a post like this, and know that together we will laugh and love and snuggle! You see, once upon a time, I had this nutso idea that would cause me to try and find an ice cube tray. That's right, these days, they aren't the easiest things to find anymore, because everyone has fancy pants ice cube makers in their freezers. But, wandering through Target one day, I gave the hub a task to run and find me an ice cube tray. And that he did. And then, when he persistently asked me why, I finally said, "For my jewelry." He looked at me in disbelief. Like he had just seen Sloth from The Goonies playing right there in the store isles. 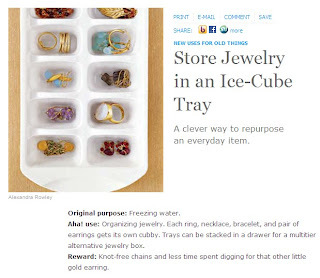 He couldn't comprehend what an ice cube tray and jewelry had in common. 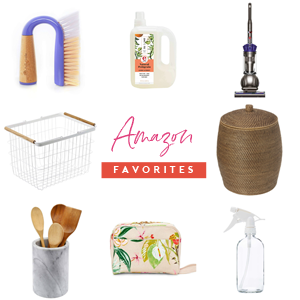 I had let him know that I needed a cheapo way to store a bunch of my miscellaneous cheapo jewelry. The fancy stuff stays in a much more poshy posh jewelry box, but I needed a way to keep all the rest of my bling, in some easy to find order. It seemed like the perfect solution, however, my usually cheerleader husband actually put some doubt in me. I shouldn't let that happen, but I did, and that is the driving force behind this post. 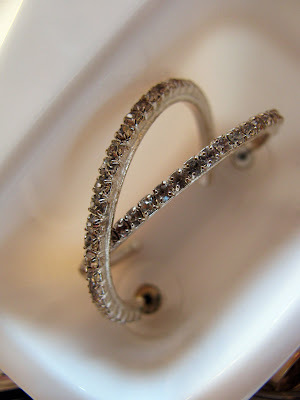 You see how it just hugs the jewelry? Like it is meant to be right? So where am I going with all of this you ask? Oh yeah! That's right! 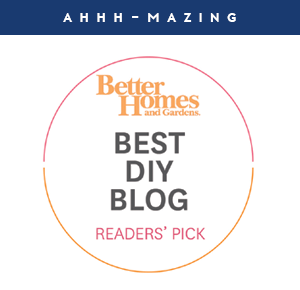 This Loony-Toon organizer actually had a good idea?! One that even the "experts" agree with!? HA! 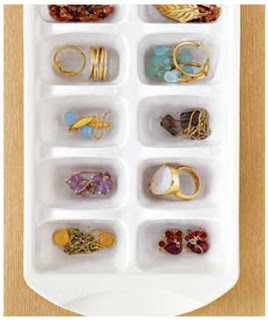 Take that doubter of the ice cube jewelry tray, a.k.a. Husband of Mine! What do you guys think? Do I get any bragging rights? Should I see if I can get a good foot rub out of this one?! 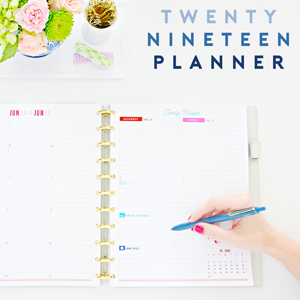 I may not have the pro-photography skills that Real Simple does, but I just might have a knack for this organizing stuff after all! Hahaha! That is too funny! I think you should definitely get some bragging rights out of that one, and a foot rub to boot! You can also try a fishing lure box if ice cube trays are too small. I thought about this idea when I was 12. I also use these boxes for orginizing multiple things other then just jewelry. 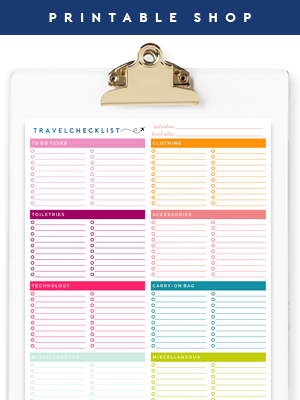 I love this idea, put quick question, where do you store it? I have since upgraded to a ceramic egg tray that I keep on my dresser top, but before then, I just tucked the ice cube tray inside a drawer in my closet. 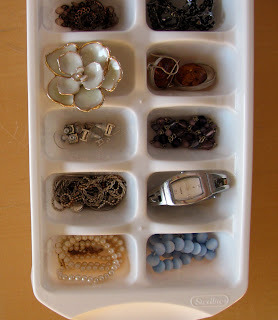 I used to store my jewelery in ice cube trays like this when I was a child :D but then I forgot it, thanks to bring this idea back to my mind! I love this idea!!! 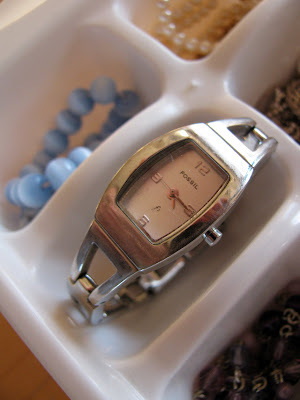 I have been scouring Pinterest and other blogs for MONTHS trying to find a perfect way to organize my jewelry. But nothing really fit my criteria for convenience or within my budget. All while my jewelry sat in a sad pile on my desk. :( Then finally!! I saw this post and fell in love! 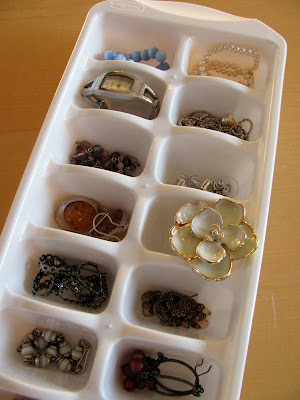 I now use 2 ice trays for all my earrings and small charm necklaces. They fit perfectly in my desk with shallow drawers. Love, love, LOVE!! :) :) BTW I also used a bulletin board I had sitting around and used it to hang all my long necklaces. I love organizing. I use a tablet dispenser to keep my earrings. It protects them - I even go on holiday with it - and they stay nicely paired. I just organized my makeup/drawer BC of this post :) while I was at the dollar store picking up the ice tray s I bought a couple 3 for $1 type small plastic baskets. Although they all fit like a puzzle in my drawer, it was not attractive. None of the colors matched! So out they came and out came a gold spray paint. Now I love opening my drawer :) it looks so luxe.